One – No individual blame. Well this one certainly feels like a defeat. Throwing away a two-nil lead with 10 minutes to play is bad enough, but conceding a 97th minute equaliser after retaking the lead only a minute earlier was truly devastating. After the game the hyperbole within the Twittersphere reached extreme levels as supporters lashed out looking for someone to blame. The normal suspects were singled out, Kone? Certainly no worse than 4 or 5 others. Howard? Nervous at times but difficult to blame him for the goals that were eventually conceded. Galloway? Let’s remember he is only 19. And of course Martinez! On this occasion the blame should lie as a collective. Everton were cruising to victory at half time and simply forgot to turn up in the second half. Bournemouth were forced to introduce their third choice keeper at the interval, yet the Blues failed to test him with a shot until Barkley put Everton back in front deep into injury time. The momentum was lost and the Toffees were caught in a malaise that they couldn’t shake and it wasn’t a huge surprise when Bournemouth pulled themselves back into the game with an unstoppable shot from the edge of the box. Two – Killer instinct is missing. Two-Nil up at half time against a team devoid of confidence. Everton should have gone for the kill and scored four or five. Instead the Blues allowed Bournemouth to establish a foothold in the game and the lost points certainly hurt on the long journey home. I have commented before on a lack of desire to finish off a team would at times come back to haunt Everton. Even against Sunderland when Everton had scored six, we eased off when we could and should have hit seven or eight. The very best teams do not let teams off the hook, they kill them off and build confidence and momentum for future games. After the game Roberto Martinez made his feelings clear. Three – Blues fail to learn harsh lesson. During his end of season (14-15) interview with supporters, Roberto Martinez explained that his biggest disappointment was the number of times Everton had got themselves ahead in games only to let the lead slip and drop vital points. Up until Saturday it appeared the players had taken Martinez’ message on board, with the Blues winning every game in which they had opened the scoring. At the Vitality Stadium it unraveled spectacularly with Everton failing to close out a game which should have been out of reach of the opposition by half time. Four – Galloway needs support on the left. This is not aimed as a criticism, the former Milton Keynes Dons defender has been exceptional since his promotion to the first team. 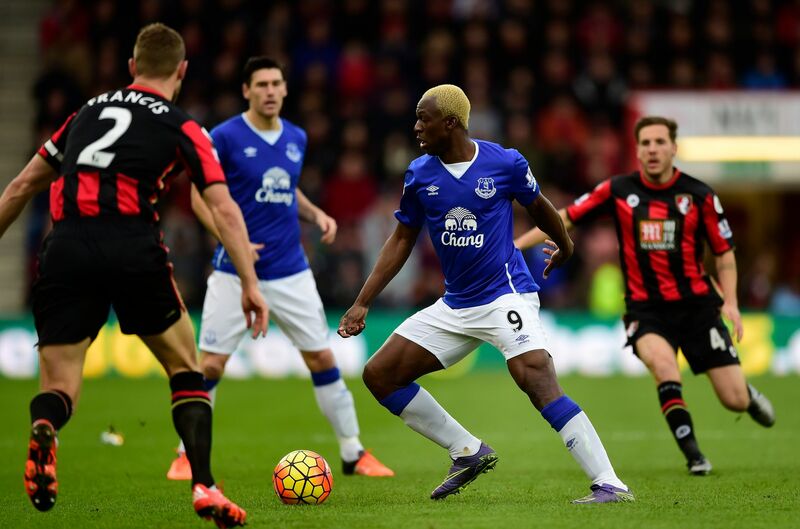 Nor is this an attack on Arouna Kone. as I believe his inclusion on the left provides Everton with a opportunity to provide much needed support to Romelu Lukaku. However teams have begun to realise that they can overload Everton on the left hand side and the Blues need to look at ways to address this. My solution would not be too radical, I would place an extra emphasis on Gareth Barry (who was brilliant again on Saturday) to cover behind Galloway, exactly as he did against West Ham a few weeks ago. In that game the tactical change totally nullified the threat of Victor Moses and Everton were able to take a stranglehold on the game. Against Bournemouth Martinez felt Everton were good enough to see the game out, however the first two goals conceded were the result of far too much space and time on Everton’s left hand side. Five – McCarthy was missed. James McCarthy has come in for some criticism this season with one or two asking what he brings to the team. Sometimes you don’t realise what you have until it is missing and this was emphasised on Saturday, with all three goals coming following the withdrawal of McCarthy with a groin injury. I am not for one minute suggesting that Bournemouth wouldn’t have scored if McCarthy had remained on the pitch, however his work rate and composure may have prevented Bounemouth’s late late equaliser and would have helped Everton wrestle back control of the match when Adam Smith helped the Cherries back into the fixture with his powerful strike off the post.